Mission: To promote, recruit, and encourage Chamber members. Mission: Partner with the Muskego-Norway school district to organize and implement educational events, create student mentoring programs, and direct and implement Student Volunteer Scholarship program. 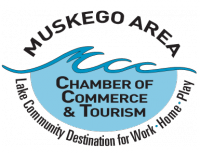 Mission: Promote economic development and awareness of issues that impact the greater Muskego area business. Mission: To promote, prepare, and volunteer for Chamber events. Mission: To provide local business women opportunities for monthly networking, a WBC newsletter, and participation in the Marie Sanborn Memorial Scholarship. Participate in WBC events; recruit new members.